Searching for the best Xbox One bundles and deals? You’re in the right place for the cheapest Xbox One prices from around the web as we’re constantly on the lookout for the best offers. It’s what we do every day. The Xbox One S (see image above) is the new standard Xbox One console and retailers have cleared out stock of original chunky launch model in favor of this version. Not that we’re complaining, as the Xbox One S is an improved machine and considerably cheaper. If you’d prefer to leap into the world of full-on 4K HDR gaming, then you might be tempted by one of the latest Xbox One X bundles instead. Looking to buy an Xbox One in the UK or Australia? You’ll want to take a look at our UK page or AU page. The slimmed-down design of the Xbox One S looks much better than the original chunky box and the power brick has been absorbed making thing s bit tidier behind your TV. The main draw though is 4K visual support meaning you’ll be able to watch specialized 4K Blu-Ray and Netflix content in 4K on your new 4K TV. Most Xbox One S models comes with 500GB of storage and there are some 1TB options too. The limited edition 2TB model has all but disappeared now, but it pops up with an enormous price-tag occasionally. Let’s take a look at the cheapest Xbox One deals below, followed by the bundles. 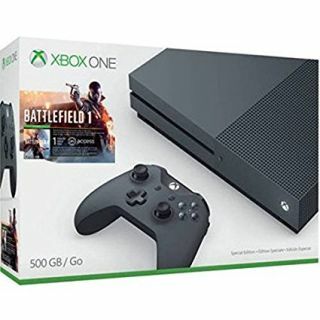 This Xbox One bundle is a much better price than recent months, actually it’s $30 less than it was recently. Battlefield 1 is still an absolute blast and has received a ton of DLC updates since launch, making it one of the meatier multiplayer shooters out there and the solo campaign is a fine return to form too. 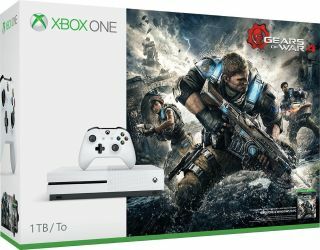 To be honest, this 1TB Xbox One bundle is a bit over-priced for what you’re getting (we’ve seen it go for much more elsewhere though). 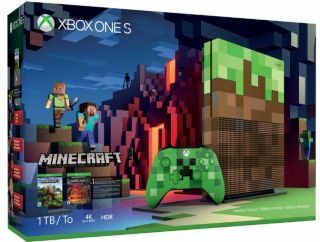 You’re going to have to be a big Minecraft fan to enjoy the paintjob on the console and controller too. This Xbox One deal includes the base game, along with some DLC packs. Gears of War 4 should be high on the must-buy list of any new Xbox One S owner. This is looking a bit pricey for the 1TB version of the Xbox One S though, especially with a game this old. We’d hold out for something cheaper or with a newer game at this price to be honest. 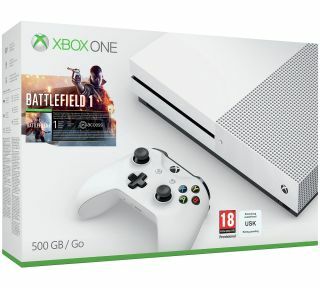 This is the cheapest grey Xbox One S Battlefield 1 bundle we’ve seen in a while. You’re only getting a digital copy, but it’s still way cheaper than buying a physical copy separately and you get the limited edition grey console. Not bothered about the grey console? Then you can get much better value Xbox One bundles above. 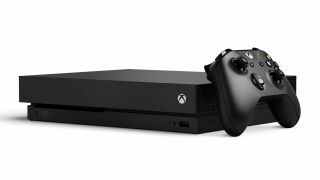 The new HDR 4K Xbox One X is available now, although it’s considerably more expensive than the Xbox One S. The prices below are mainly for the console on its own. But if you’d like to see the options that include games too (sometimes you’ll get ones thrown in for free), then head on over to our Xbox One X bundles page. Need to top up your Xbox Live Gold membership? Don’t pay the default automatic $60 renewal price. Check out our range of Xbox Live Gold deals to save some serious money. Still considering a PS4 instead? Then you’ll want to take a look at our cheapest .